I first started listening to podcasts around the summer of 2016 when I was working in a quiet office and needed something to pass the time. I started off by listening to Serial. Season one had me hooked. I loved it and couldn’t wait to listen to it every day at work. Season two was a lot slower and not as interesting and probably made me lose a lot of interest in podcasts. It wasn’t until the past May when I really discovered how vast the podcast community is. I got a few recommendations to listen to My Favorite Murder (thanks Mia) and that’s what I reluctantly started with. After the first few episodes, I was ready to binge the entire series. After almost exclusively listening to MFM for the entire summer, I’ve started to branch out and listen to other incredible podcasts. Thick & Thin – By one of my favorite YouTubers, Katy Bellotte. She discusses her life post-graduation from Elon University and her move to New York City as well as other situations that any recent grad can relate to. Sleep With Me – The Podcast That Puts You To Sleep and it really does. If you are someone that can’t sleep because your mind is constantly racing, definitely check this one out. It helps me fall asleep within 20 or fewer minutes which is a crazy accomplishment. GymCastic: The Gymnastics Podcast – I used to live and breathe gymnastics and this podcast is helping me get back to that. If you have a strong interest in gymnastics and the politics surrounding it, this is for you. My Favorite Murder – I had to throw this one in here of course. It is still my favorite podcast at the moment. I feel like I know hosts Georgia and Karen and their humor is really what makes the podcast relatable. It’s a great podcast for people that are into true crime but don’t want to be weighed down by the heavy content. Serial – I haven’t gotten into season 3 quite yet, but I’ve heard great things about it already and only two episodes have been released so far. The Stalman Podcast – Another favorite YouTuber. He’s a photographer, filmmaker, and interested in technology so I’m excited to give this a try. There are so many others that I want to try out, but for now, I’m sticking to my favorites because all these episodes are a bit overwhelming. Lastly, Overcast has been the most useful podcast player while trying to manage everything I listen to. It has so many more customizable features than the Apple Podcast app and even Spotify. It’s really incredible and I highly suggest you download it if you’re into podcasts even in the slightest. Last week I decided to make an informal video for IGTV. I had a boring day and took a few videos and time-lapses and put them together at the end of the day using Splice. Splice was incredibly easy to use especially for someone that has never really worked with videos or any editing software. My video ended up being around two minutes long and I posted it on my private Instagram account. The video has been up for one week and has 31 views from my 62 followers. IGTV was, “built for how you actually use your phone,” meaning all videos are vertical. I never realized how awful it is to film videos vertically, let alone watch videos longer than a minute when they’re vertical. It was so hard to get a good shot of what I was trying to show. Vertical videos simply do not let creators get enough of their surrounding area in their videos. Is it really that hard to turn your phone to watch a horizontal video? It’s creative, but YouTube will always be the superior video viewing app. Watching vertical videos is easy when the video is only a few seconds long and not 5-10 minutes long. One creator I follow has been using IGTV so well. Allegra Shaw has three IGTV videos so far and all three of them are easy and enjoyable to watch. She utilizes the vertical screen to show her body or just her face. IGTV videos are probably a lot better for this rather than a day-in-my-life style vlog. I’m not sure if IGTV is here to stay, but we may as well use it while we still have it. 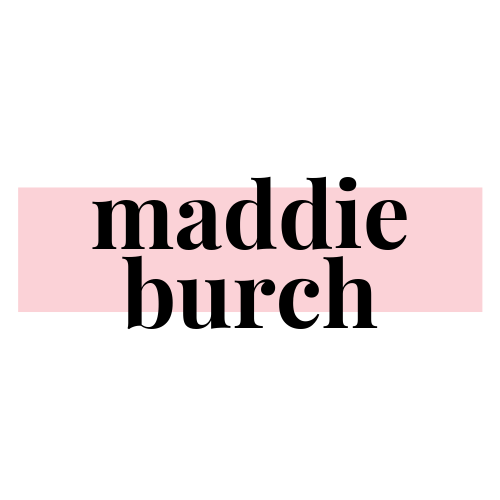 More videos are on their way at @maddieburch.